Chronic Disease Self-Management Program: Stanford University developed this community-based, peer-led small group program to address symptoms persons with chronic conditions and caregivers experience. This program was rigorously tested and proven to effectively help persons with chronic conditions and disabilities (and caregivers) manage their conditions and enhance their quality of life. This workshop is 2½ hours and takes place once a week for six consecutive weeks. Diabetes Self-Management Program: Stanford University developed this community-based, peer-led program to teach small groups of persons with type 2 diabetes the skills needed in the day-to-day management of this condition. This program was rigorously tested and proven to effectively help persons with type 2 diabetes better manage their condition and symptoms associated with having this chronic condition. This workshop is 2½ hours and takes place once a week for six consecutive weeks. Matter of Balance: A program designed by researchers at MaineHealth to reduce the fear of falling and increase activity levels among older adults or persons at risk of falling. This small group program was rigorously tested and proven to effectively help persons gain self-confidence and become more active. This workshop is offered in either a four or eight week consecutive weekly schedule. Tai Chi for Health: Dr. Paul Lam and a team of researchers developed this evidence-based group exercise program to introduce persons with arthritis or those with a fear of falling to Tai Chi. This eight week program is found to relieve pain caused by arthritis, reduce falls, and improve quality of life. This workshop takes place once or twice a week, 30 minutes – 1 hour for eight consecutive weeks. All of our Health and Wellness programs are given in 14 Georgia counties: Burke, Columbia, Glascock, Hancock, Jefferson, Jenkins, Lincoln, McDuffie, Richmond, Screven, Taliaferro, Warren, Washington, and Wilkes. It is very important to provide these services to individuals and their caregivers allowing them to live healthy and independently. The Area Agency on Aging is able to provide workshops to all local community organizations, businesses, hospitals, senior centers, churches and the general public. 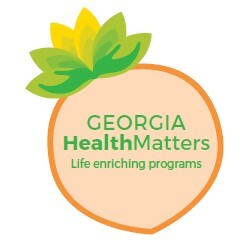 To register for a Health and Wellness workshop, contact the Health and Wellness Coordinator, Betsy Teasley, at (706) 650-5637 or by visiting the Georgia HealthMatters website.